Who’s Keeping Wine Tourism a Secret? Tour operators and travel agents traveling thousands of miles to attend the International Wine Tourism Conference & Workshop in Croatia (15-16 March) were surveyed by organizers, Wine Pleasures, regarding destination choice for their wine tourism clients. Representing the USA, UK, Slovenia, Spain, Italy, Norway and Sweden, these agents send over 3600 trips annually to wine regions across the globe. In ranking order, prominence was given to sending tourists to France, Italy and Spain. 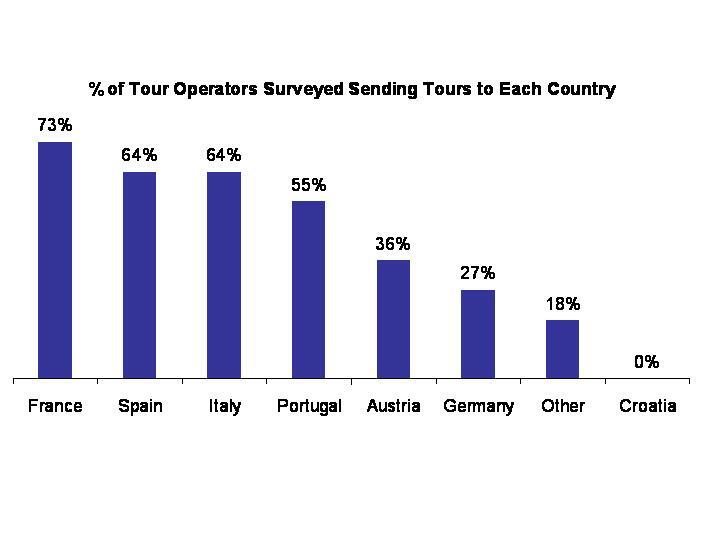 8 out of 10 agents send travelers to other destinations. A large majority send trips to Portugal (50%) and more than 25% send trips to Austria and Germany. But, there’s a developing market not on the list with world-class wines made from both local and international grapes that’s quite possibly southeastern Europe’s best kept secret. Croatia and neighboring countries have an unspoiled beauty beyond the coastlines. More than 500 wineries in Croatia dot the landscape and establish a wine culture ripe for wine tourism. 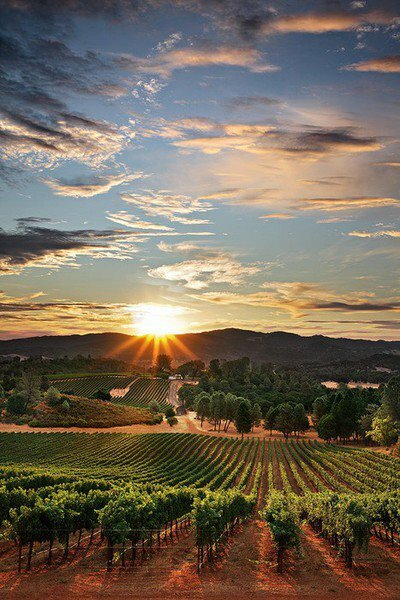 The history of wine in the area goes back to plantings of the ancient Greeks. Today’s viticulture represents tradition, terroir, and technology working together. Be one of the first to discover the unknown wine tourism destinations France, Italy, Spain and Portugal don’t want you to know about. 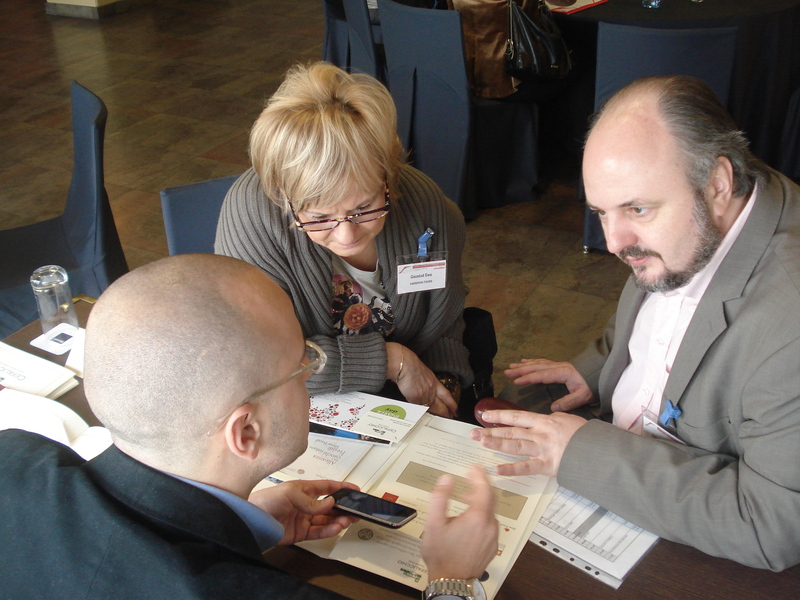 The 2013 International Wine Tourism Conference Workshop & Fam Trip is a global event uniquely established to bring together wine and tourism professionals in one location. This is a unique and once only opportunity for Croatia to unveil their secrets with respect to wine tourism. The Wine Tourism Workshop (16th March) is a powerful tool that allows wine tourism experience providers to meet with tour operators and travel agents specialised in wine and culinary tourism. Could it be a coincidence that the IWINETC was held in previous years inn Italy, Portugal and Spain and are now in the top 4 destinations of the surveyed operators? Don’t miss the opportunity to be part of the next emerging region’s discovery.